Stupid rules. How can comments on an external website violate the TOS on this forum? Congratulations you linked the TOS for bored moderators. Its a stupid rule to actively enforce when no one cares if you guys did or not. We are talking about youtube comments here. Youtube a global site that everyone knows of and visits, not liveleak or any other site with extreme risky content. There is nothing stopping a young player going on youtube and going to their favourite Justin Beiber music video "Baby" and seeing the first comment. Yet on here a game and about shooting guns etc we have to pretend that this doesn't exist and pretend that no one has even seen a swear word before especially on an external website that doesn't even belong to the game. Literally not 1 single person on this website complains about what is in youtube comments yet here you guys are removing content from the threads because of a comment someone else made somewhere else. What if a video has 26 pages of comments are you going to look through all of them for a swear word? I just went on lofro game forums that have a teen esrb rating aswell and even those wizard lovers don't butcher youtube links. Last edited by TheBadaBing! on Sun Mar 22, 2015 10:22 am, edited 3 times in total. Why the hell you warning level decrease every 2nd day and my level 2 stays since years? Your ability to remain as an active participant is contingent on following the forum terms of service. Must of taken some time to think up that reply. 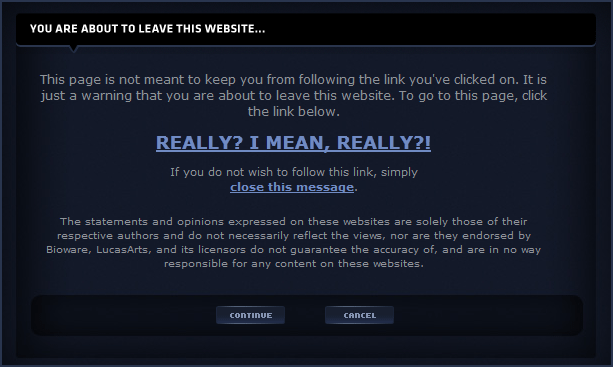 I propose dropping the youtube link molestation by itchy finger moderators on this forum and replace it with a simple warning when leaving the website to external links. Instead of ripping out content and context to a thread on the forum because someone said poo on youtube. Where the mods be at yo. Don't hide.